What is meant by the concept of ‘market failures’? 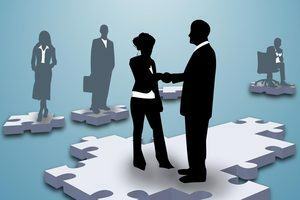 In economics, markets are viewed as coordination mechanisms between individual producers and consumers. Markets collect all information on supply and demand and, consequently, determine the price which equalizes both. In perfectly functioning markets, individual suppliers and consumers do not need to monitor what others are doing, but knowing the market price is sufficient to optimize their decisions. If the costs of producing one additional unit (i.e. 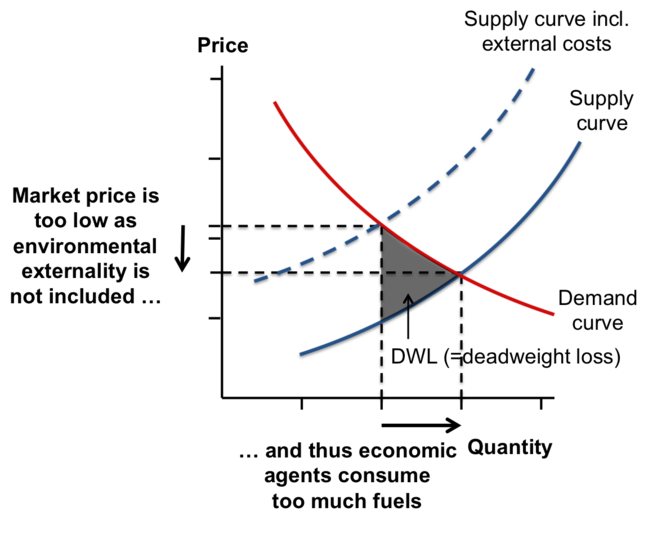 the marginal costs) is below the market price, it is efficient for a producer to produce that unit. 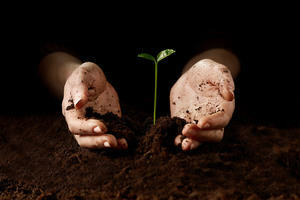 The difference between the market price and the costs of producing a good is called producer surplus. For consumers it is efficient to consume a good if the market price is below the maximum price they are prepared to pay. The difference between this willingness-to-pay and the market price is called consumer surplus. 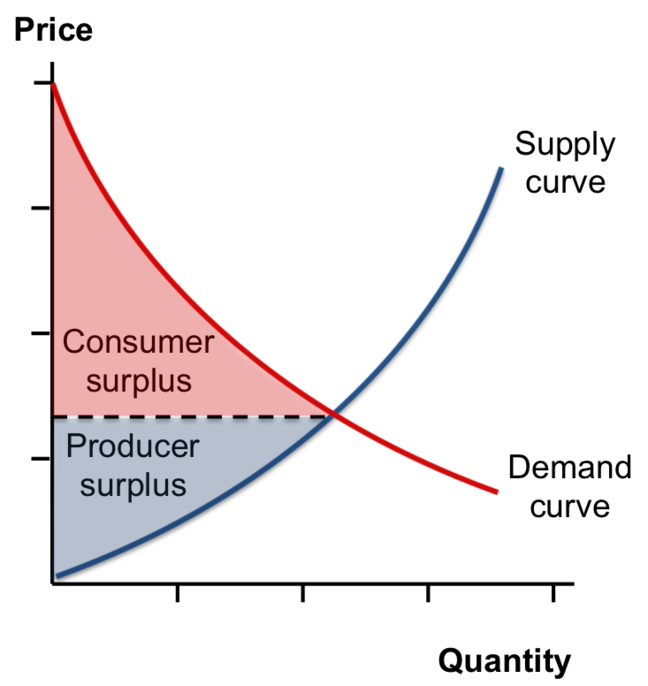 The aggregate of producer surplus and consumer surplus is the increase in welfare resulting from production and consumption. 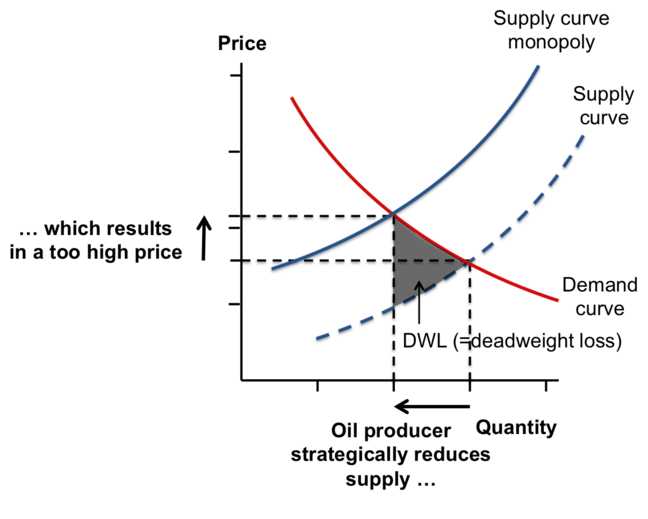 Because of the responses of producers and consumers to market prices, the market reaches an equilibrium where the price is equal to the marginal costs of all producers together and the marginal willingness-to-pay of all consumers together. In such a situation no one can improve its situation by making another choice. This situation is called Pareto efficient. It belongs to the fundamental economic insights that this privately optimizing behaviour based on market prices results in socially optimal outcomes, that means in maximum overall welfare. This insight is called the welfare theorem of microeconomics. This result is realized if the market is transparent and nobody is able to (strategically) influence the market outcomes. As a consequence, any intervention in the decisions of individual agents, reduces welfare. This conclusion only holds if markets are perfect, but markets are almost never perfect. This holds also for energy markets. Energy markets are said to suffer from several kinds of market failures, which means that the prices in these markets do not perfectly reflect the marginal costs of supplying that good. One example of these market failures is the environmental externality of using fossil fuels. The carbon emissions resulting from burning fossil fuels contribute to climate change. This effect of using these fuels is a cost which is not included in the market price. Hence, economic agents use too much of these fuels as they do not properly include these opportunity costs in their decisions regarding energy use. The production decisions are not efficient because the producers do not include these external costs in their decisions how much to produce given the market price. As a result, the market price is too low, which in turn means that consumption is too high from a welfare-economic perspective. Another market failure which characterizes many energy markets is market power. If producers are able to influence the market price by strategically reducing their supply, the price will be too high and, hence, consumption too low. This results in the so-called deadweight loss of market power, which is the reduction in consumer and producer surplus because of the prices being above the marginal costs. This market failure occurs if only a limited number of producers is able to produce specific goods. In oil and gas markets, the number of producers is relatively small because of uneven regional distribution of oil and gas resources. If these producers are able to coordinate their supply decision, we are having a cartel, such as the OPEC in the oil market. Although in electricity markets a large number of producers may exist, some producers may have market power during hours of peak demand. The occurrence of this market power is related to the non-storability of electricity, the long lead time for investments in generation capacity and the large variation in the overall level of demand. The strong increase in the number of producers of renewable energy, however, may reduce the market failure of market power in the electricity market. In both gas and electricity markets, the infrastructure for transport and distribution play an essential role. This infrastructure is characterised by high investment costs, which makes that it is not efficient to have more than one infrastructure. 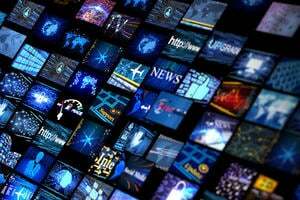 As a result, the operators of these networks have a so-called natural monopoly. In order to prevent that these operators abuse their market power and to give them incentives to operate efficiently, the networks are subject to economic regulation. Another market failure is information asymmetry. If consumers are not able to assess the quality of a good, they will not be prepared to pay their maximum price. As a result, producers will not offer high-quality goods, because they cannot convince consumers that the product is of high quality. This effect is called adverse selection, since the high-quality products are driven out of the market. This market failure occurs, for instance, in energy retail markets where consumers cannot assess the environmental effects of a specific supply of electricity. In order to solve this market failure, the industry and the government implement labelling systems which give information on how the electricity is being produced. From these examples we see that market failures occur in energy markets, but if policy measures are pinpointed at these failures, the market improves resulting in a higher welfare.